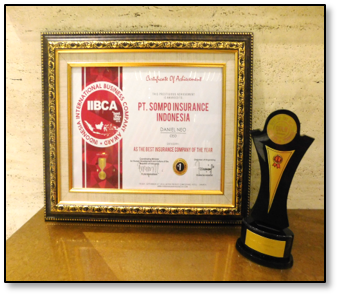 Since 2002, PT Sompo Insurance Indonesia (PT. Sompo Japan Insurance Indonesia and PT. 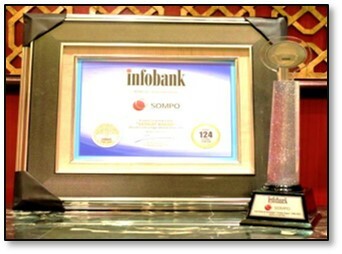 Asuransi NIPPONKOA Indonesia) has been awarded with various awards from several independent institutions. 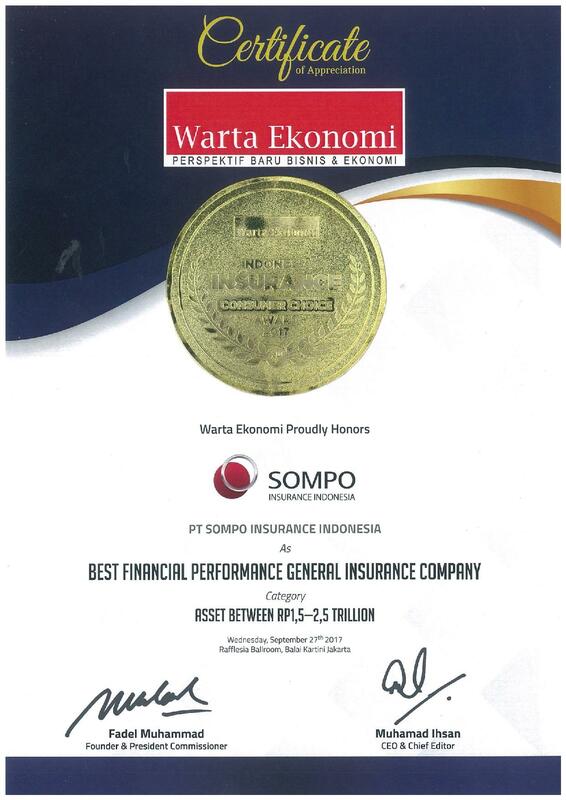 In 10 consecutive years since 2006-2016 Sompo Insurance Indonesia has awarded as "Best General Insurance" with gross premium above RP 1 Trillion . 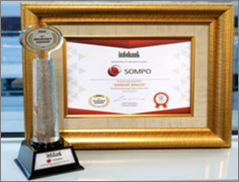 In 2017, Sompo Insurance Indonesia also received the award as "Best General Insurance" for the asset category above Rp. 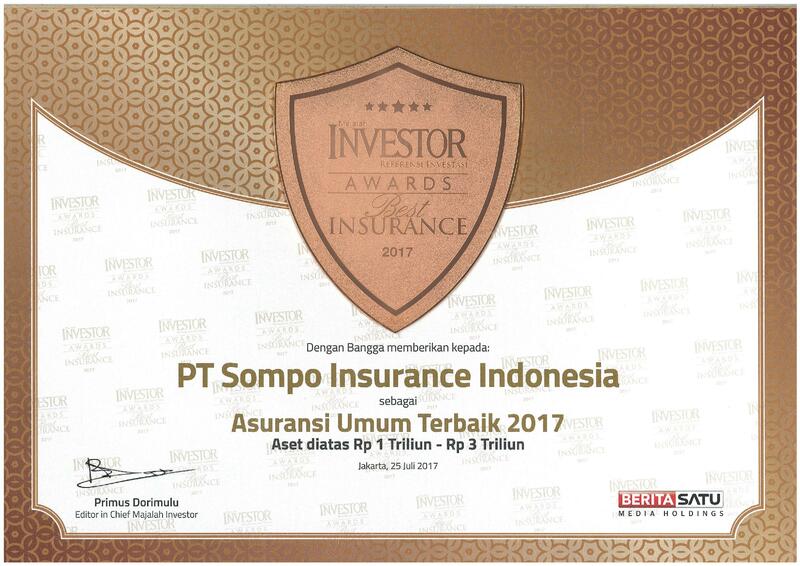 1-3 Trilliun and "The Most Innovative General Insurance 2017" according to Global Brands Magazine Award 2017. 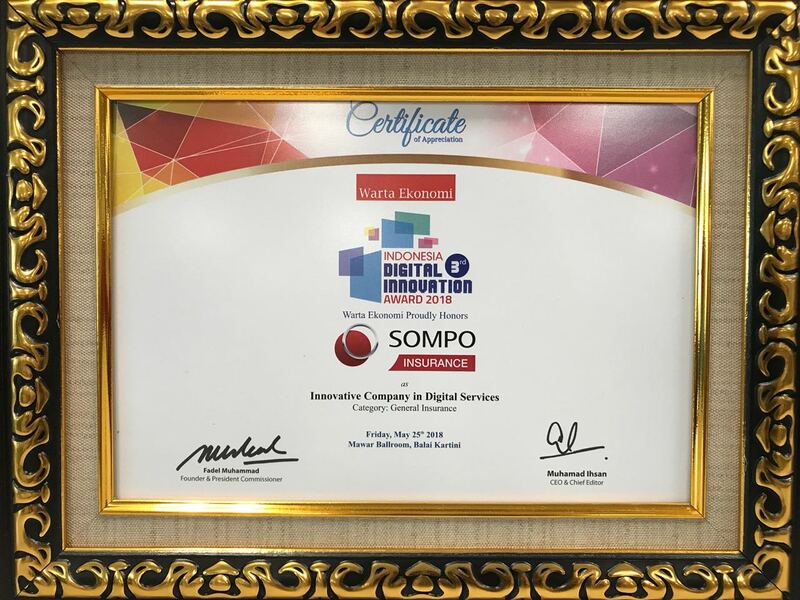 In 2018, Sompo Insurance Indonesia Awarded as “Innovative Company in Digital Services” on Indonesia Digital Innovation Award 2018 held by Warta Ekonomi.